Are you having second thoughts on joining Interracial Cupid? Then this Interracial Cupid review might help you decide whether you should join or skip this dating site. Online dating is for every single human being on this planet. It can be for people who are just trying their luck in finding themselves a date. Online dating is also for people who are actually to busy to find a date in real life. But, whatever your reasons are, online dating is here for your dating needs and such. All you have to do is to know how to find the right online dating site to avoid getting scammed or the like. And this is the mere reason why you are here at this Interracial Cupid review, so let’s go ahead and read the information below. 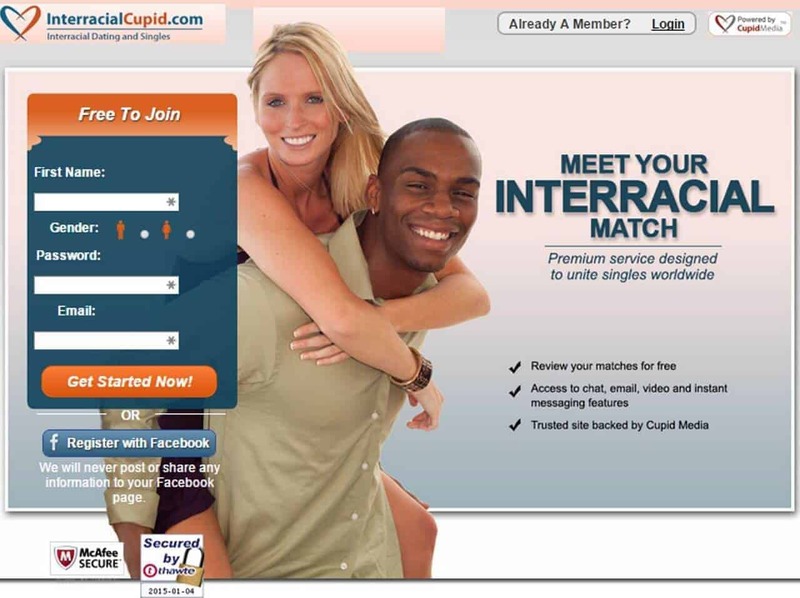 Interracial Cupid is an online dating site that will give you the interracial date that you’ve been wanting. There are a lot of interracial singles on this site who are also looking not only for love but as well as friendship. The site offers free membership, but they will allow you to experience advanced features like messaging to ensure that you get to communicate with others. As you all know, conversations are essential to build up a relationship with someone. Interracial Cupid is one of the well established dating sites today. They are committed to connecting every single individual worldwide. They also make sure that their platform is fun and safe for everyone who is looking for an interracial partner. As mentioned above, you can join Interracial Cupid for free. But they also have a gold membership, which offers more features. For the free ones, a member can view profiles unlimited and can also upload a maximum of 10 images of themselves. This means that you will get to increase your chances of finding someone who is interested in you. The downside of being a free member is that you won’t be able to send emails to anyone. The only thing that you can do to let them know about your feelings is through a wink emoticon. The gold member, on the other hand, will let you communicate with a member in different ways. Also, you will get to view profiles of the newly joined members even before the free members get to see them. Another good thing about the gold membership is that you have the option to share your contact information or not. If you don’t feel like communicating with someone, you can restrict the access to your data using this feature. Just like in any other sites, the chances of your information getting used or collected is quite high. This may be one of the reasons why some members don’t like completing their profile. Some members use fake information as well, but typically the ones who use fake information are scammers and ones who are not looking for someone to date but someone to victimize. With all this being said, you can try out Interracial Cupid but make sure not to give out too much information if you don’t want them to float around on the web. If you are willing to spend for the gold membership, then do so, since you will be able to get more features. But start with the free one first to get a feel of the dating site.